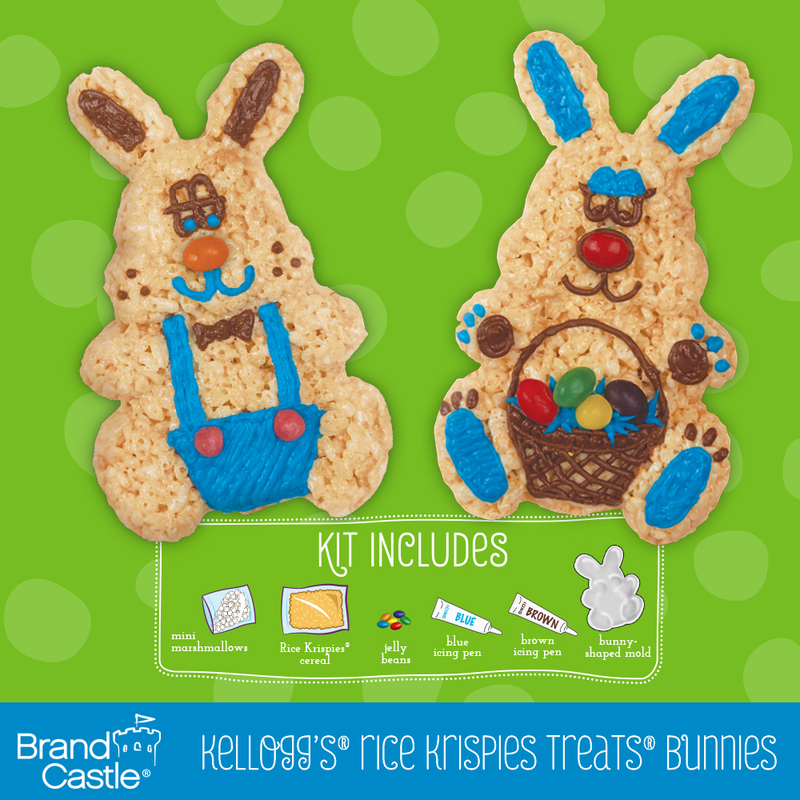 Create your own edible bunnies featuring one of our favorite cereals! 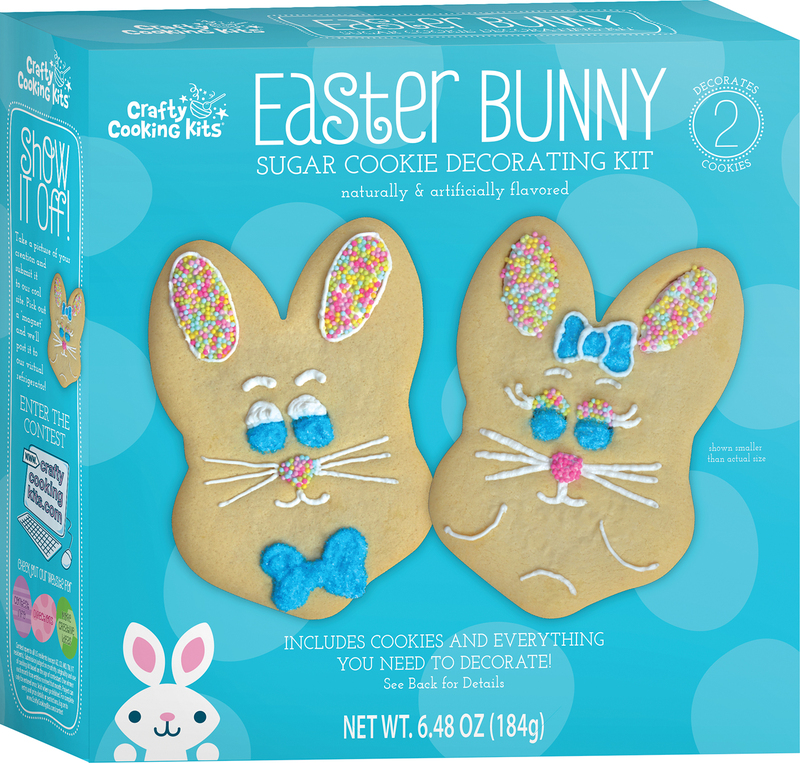 Kit includes bunny-shaped mold and plenty of extras for decorating. 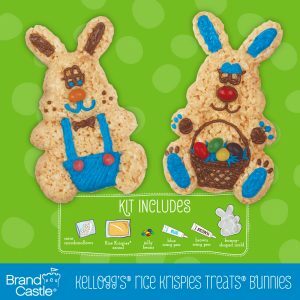 Kids and adults of all ages can enjoy this adorable kit. Marshmallows: Corn Syrup, Sugar, Food Starch-Modified (Corn), Dextrose, Water, Gelatin, Natural And Artificial Flavor, Tetrasodium Pyrophosphate. 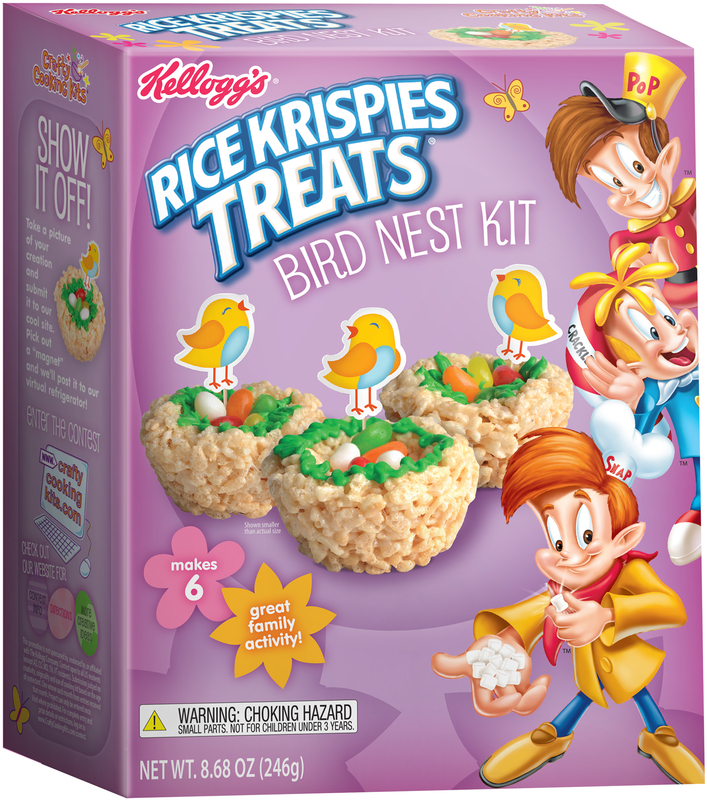 Kelloggs Rice Krispies Cereal: Rice, Sugar, Contains 2% or Less of Salt, Malt Flavor, BHT for Freshness, Vitamins and Minerals [Reduced Iron, Niacinamide, Vitamin B1 (Thiamine Hydrochloride), Vitamin B6 (Pyridoxine Hydrochloride), Calcium Pantothenate, Folic Acid]. Jelly Beans: Sugar, Corn Syrup, Water, Corn Starch, Citric Acid, Artificial Flavors, Carnauba Wax, Titanium Dioxide Color, Red 40, Yellow 6, Yellow 5, Blue 1. Icing Pens: Sugar, Partially Hydrogenated Soybean and Cottonseed Oil and/or Palm Oil and Canola Oil, Water, Corn Syrup, Mono and Diglycerides, Food Starch-Modified (Corn), Salt, Titanium Dioxide Color, Potassium Sorbate (Preservative), Polysorbate 60, Natural and Artificial Flavors, Red 40, Yellow 5, Citric Acid, Blue 1. Adults: Wash bunny mold with warm, soapy water and dry thoroughly. Kids: Be sure to wash hands. Cooking can be messy work. You might want to wear a smock or apron. 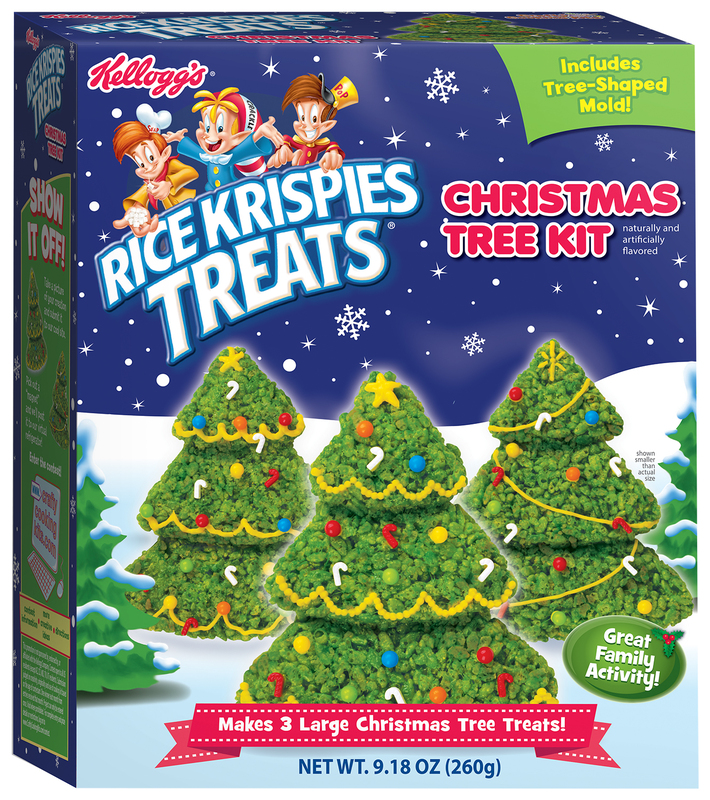 Pour Rice Krispies cereal into large bowl. Adults: Melt butter in a medium saucepan over LOW heat. Add mini marshmallows and continue to heat, stirring constantly, until marshmallows are completely melted. Pour over Rice Krispies cereal and stir well to coat. Mixture will be warm – allow mixture to stand for 5 minutes to make shaping easier. 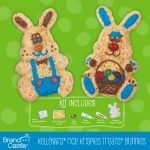 Adults: Coat mold and kids’ hands with cooking spray. Kids: Scoop 1/3 of Rice Krispies mixture from bowl. Press into bunny mold. 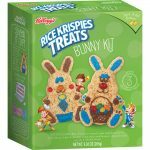 Flip treat out onto counter top and repeat with remaining Rice Krispies mixture to make 2 more bunnies. Adults: Carefully cut the tips off icing pens to form small openings. Remove candy from pouch. Kids: Use icing pens to decorate your Rice Krispies Treats Bunnies and attach candies. Place on serving platter and enjoy! HINT: It may be tempting to save your snacks, but Rice Krispies Treats Bunnies are best eaten within 24 hours.